Contact Sinead at Clonleason Gate Lodge on 00353 46 9434111 or complete the enquiry form. 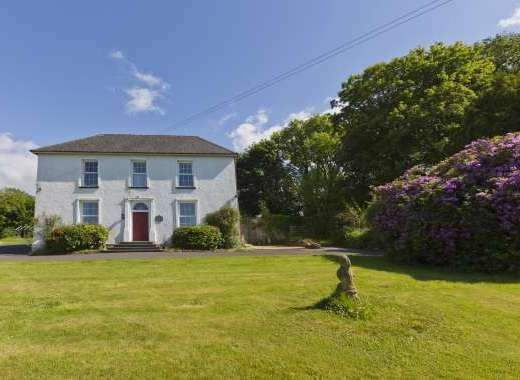 Clonleason Lodge is a beautiful holiday cottage for two with a lovely riverside setting. 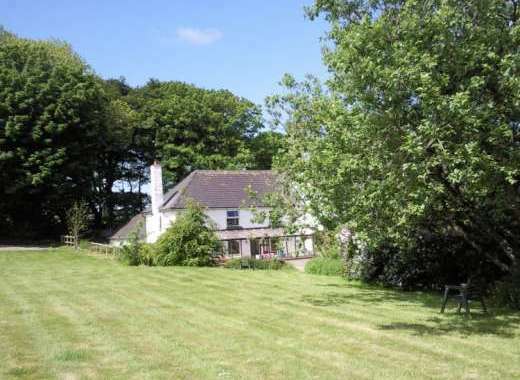 This holiday cottage is ideal for couples and is available for long or short stays, with any day arrival and departure. We have been highlighted in The Sunday Times in an article entitled 50 Cool Cottages in Britain and Ireland and are also proud to have received an environmental award for our gardens. Situated along a tranquil country road, in a rural setting between Kells and Athboy, our 200 year old stone riverside cottage has been converted into a cosy cottage hideaway for a couple. The cottage overlooks acres of mature gardens, grounds and lovely unspoilt countryside and is an ideal place to relax and unwind. The cottage has been furnished with our guest’s comfort in mind. The bright sitting room with its high ceiling and open fireplace has French doors which open out to the sunny terrace and the kitchen is well equipped. There is also a romantic en-suite bedroom. The cottage also has its own secret garden with a babbling stream. In summer the air is scented with roses and honeysuckle. Just one hour from Dublin and Dublin airport, yet a world away in terms of rest and relaxation. We are within easy reach of the great archaeological World Heritage site of Newgrange, and Kells, Tara and Loughcrew are also close by; river and nature walks, golf courses and the opportunity for equestrian sports are also available in our area. Our cottage has a 4* rating from the Irish Tourist Board and we offer flexible arrival and departure dates. £100 deposit required to secure the booking. The balance due 4 weeks before arrival. Private rose garden with river running through it. Mature trees, parkland, private terrace and unspoilt country views from all windows. Located in the heart of the Boyne Valley, Clonleason Gate Lodge is within easy reach of the UNESCO 5,000 year old site burial site of Bru na Boinne (Newgrange). Trim just 7 miles from us has the greatest concentration of historical monuments in the country, and a delightful walk along the River Boyne. Kells hosts a literary festival each year (The Hay Festival) and boasts a quantity of early High Crosses and a 9th century Round Tower. Recommended Places to Visit: Skerries beach for swimming, fresh air and good seafood in the harbor restaurants. Belvedere House and Garden in Co Westmeath. The county museum in Ballyjamesduff, Co Cavan. Co Wicklow - the garden of Ireland, and Drogheda, a walled medieval town near the coast. Annual Events: Tattersalls International Horse Trials: Usually May/June. Loughcrew Garden Opera: June. Kells Annual Hay Literary Festival. Recommended Places to Eat Out: Farm to Fork, Coburn's and Sabrosa - three new restaurants in Athboy, (our nearest village). The Vanilla Pods in Kells is well established and in Trim, Francini O'Brien's and Barista a casual cafe at the Trim Castle Hotel. The Central Bar and Earls Kitchen have excellent food in Navan. Local Sports: Excellent golf, including the beautiful Headfort course in Kells considered to be one of Ireland's most scenic golf courses. Horse riding in several locations. River walks and fishing all withing easy reach. Fordstown, two miles from us is a neat crossroads with Post Office, pub, church, small shop and a cluster of well kept houses. Please visit http://www.clonleason.com to find out more about the holiday cottage, amenities, surrounding area and places to visit in Meath.